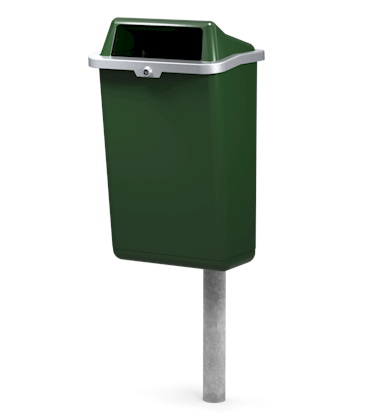 The Omnipole is a modest, but solid litter bin with an aluminium edge and a handle on the inside to make emptying simple and safe. Available in 35 and 55 litre models. Would you like to know more about the Omnipole and the possibilities? Check out the extra options or contact us. 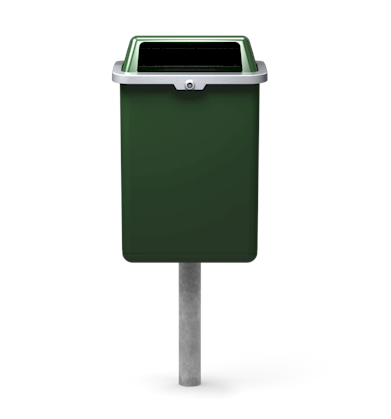 Thanks to the special closing edge, the Omnipole is especially well-suited for use with a bin bag. 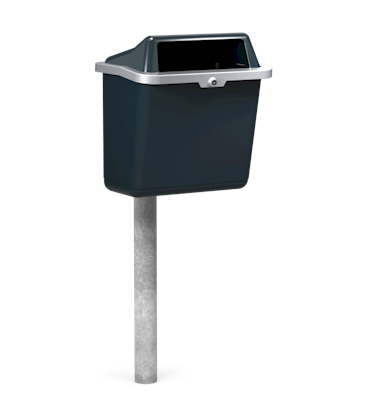 The sloped hood prevents waste being placed on top of the Omnipole.